Katharine Smyth in “All the Lives We Never Lived” proposes that there is one book for every life, with “the power to reflect and illuminate that life”; Lebanese director/writer/actor, Nadine Labaki’s magnificently tragic “Capernaum” is the nascent, metaphorical film featuring misplaced, disenfranchised refugees; focusing on a twelve-year-old Syrian boy “Zain” (Syrian refugee, Zain Al Rafeea) undocumented, uneducated, malnourished, suing his parents for his birth and those of his countless brothers and sisters. His message screams with the lack of accountability of two people, who, without regard for their progeny continue to spawn. Living in deplorable housing, sleeping with siblings, unwashed and starving, he navigates the poverty-infused, ignored sections of Beirut; panoramic views are staggering in their overwhelming perspective of an atrocious excuse for housing; Zain is shrewd, ancient, stunted in his efforts to help his eleven-year-old sister from being sold into marriage. He flees his tyrannical parents, finding a home with “Rahil” (Yordanos Shiferaw) an Ethiopian refugee and her magnetic toddler, “Yonas” (Boluwatife Treasure Bankole); when Rahil disappears, Zain, with massive ingenuity, cares for Yonas; theirs’s is a partnership that defies duplication; humor, pain, pathos inform their powerful bond, a love between outcasts; one wise, the other naïve about their futureless state. 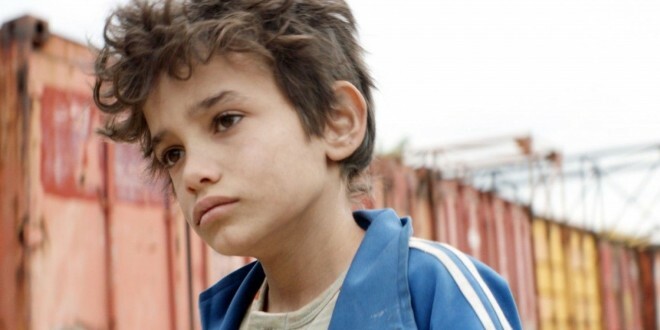 “Capernaum” belongs to Zain; he portrays, in all its cruelty and ugliness, his truth; no birth certificate to validate his existence; he plunders the squalor, detritus of his “no man’s land” just to breathe. Of the volumes of films, characters I have seen in my lifetime, Zain, with his exquisite face and old, deep set, tortured eyes will forever be seared in my memory. The year has given viewers touching, miraculous stories referencing filmmakers lives: “Roma”, “Cold War” soar with the refined genius and sensitivities of the directors, but “Capernaum” stratospherically narrates the reality of millions, millions shunned, left to die, without ever having lived.